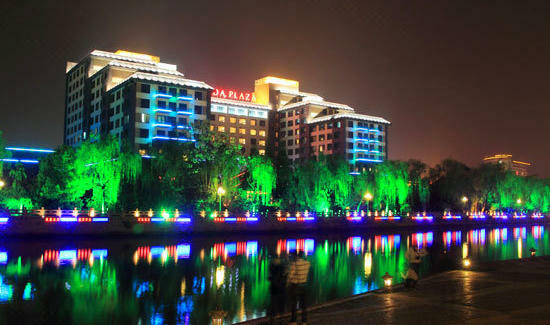 The Ramada Plaza Yangzhou Casa Hotel (Huameida Kaisha Jiudian) is located on the edge of the vibrant downtown area and only a five-minute drive from the Wenchang Pavilion. A function hall and five meeting rooms are installed with advanced facilities. Additionally, the professional staff is ready to provide hands on assistance with planning and coordination. Guests with free time on their hands can enjoy a refreshing swim at the pool, steam up in the sauna, or play a game of billiards or ping pong. Guests may also take advantage of on-site fitness facilities to burn calories and extra energy. 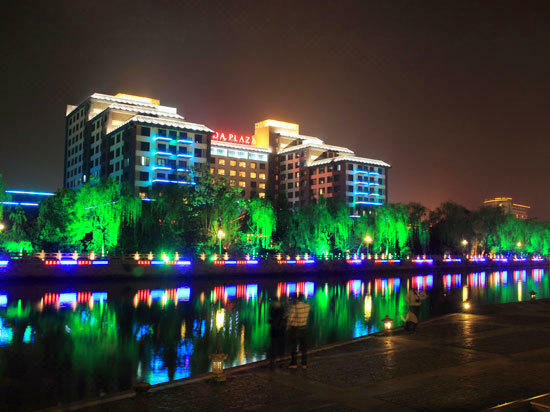 140km to Nanjing Lukou Airport.